As an online social networking service, Facebook is becoming more and more popular nowadays, especially among youngsters. We feel free to share status, photos, links, videos and more with our friends on Facebook. We can easily like, comment and share others' updates as well. In a word, Facebook becomes a new and leading lifestyle in the virtual world. You may upload photos to Facebook from time to time. What if you have a batch of fabulous photos at hand and are eager to share with your Facebook friends? Don't you want to share in a different way? 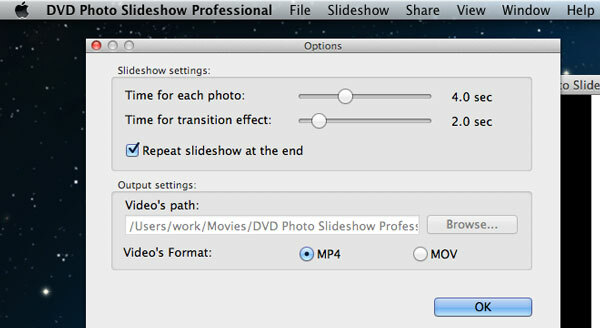 Why not turn them into dynamic slideshow video first? By doing so, you may give a deep impression to your friends and even attract more friends to your circle. 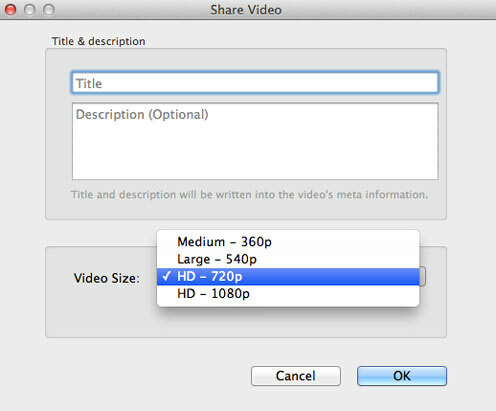 To create a Facebook slideshow video, you only need Mac Slideshow Maker. It lets you make a slide show of your photos and encode the slideshow into video with ease. 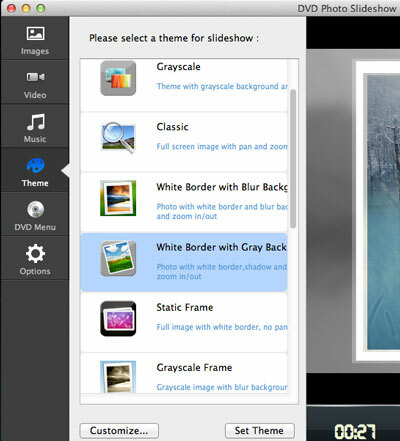 You can add music to the slideshow, apply transitions, choose theme, set Pan & Zoom effects, and more. Now let me show how you can create Facebook photo slideshow movie using this Mac slideshow maker. To create photo slideshow movie for uploading to Facebook, you just choose MP4 as the output format. 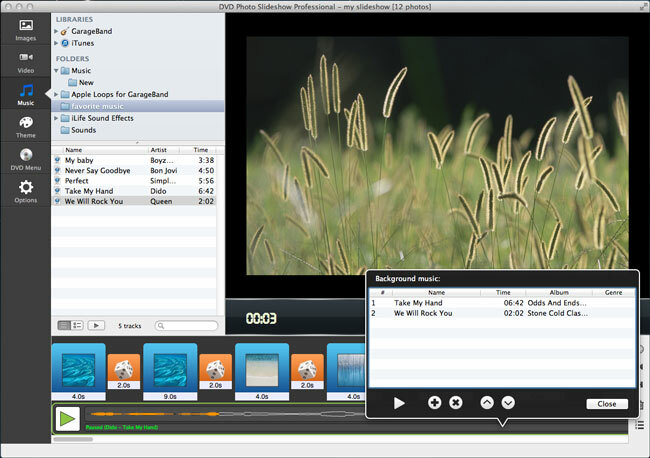 When the encoding is done, you will get the output slideshow movie in the output folder specified in Step 4. From there, you can upload the video file to Facebook and share with your friends.